Making your own homemade brandy is a great way to warm you up from the inside out with all the scents and flavours of the summer. The term ‘brandy’ comes from the dutch word ‘brandywign’ which means ‘burnt wine’, or wine that has been distilled to concentrate the flavours. Essentially, brandy is created by distilling wine using any type of fruit. After you ferment the fruit, you distill it to get a strong, flavourful spirit. 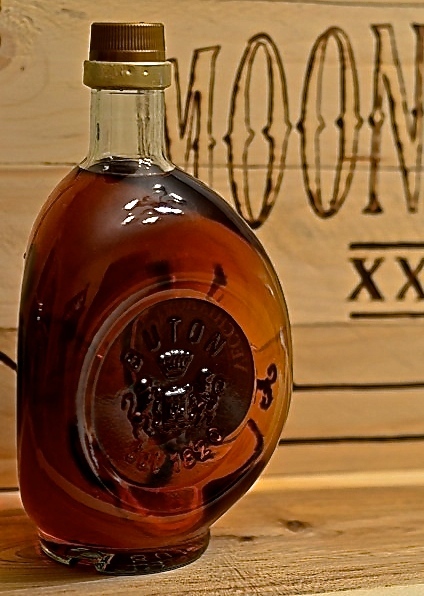 Brandy is most commonly categorized into to two categories: grape brandy and fruit brandy. 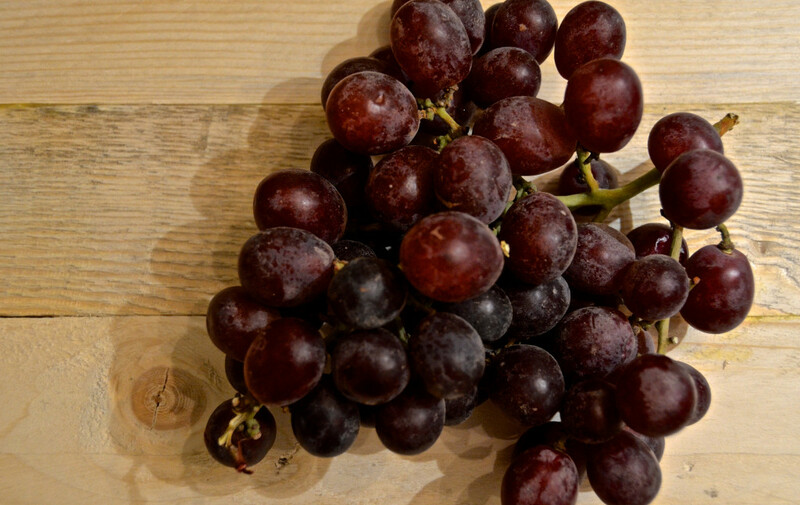 Grape brandy is made by fermenting crushed grapes. Grape brandy is often aged in oak barrels (making it not ideal for home distilling) to help mellow the harsh flavour as well as bring out the aromas and flavours from the oak itself. The other type of brandy, fruit brandy, is the most commonly made. This includes any spirit that is distilled from a fermented fruit other than grapes. 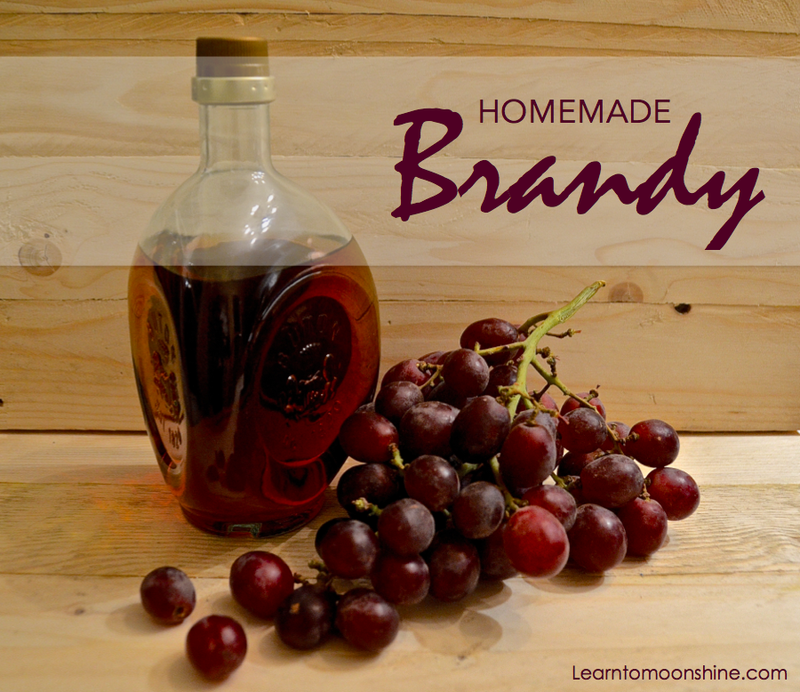 To learn how to make your very own homemade brandy, follow the steps below. STEP #1– Choose your fruit. Pears, apples, peaches, plums, and grapes are most commonly used. Grape brandy however needs to be aged in oak barrels, so other fruits are more suited to home distilling. If you wish to make your own wine, you will need to ferment your fruit, which you will want to start at least a month before you want to start distilling it. If you want to start distilling it right away, purchase a few liters of fruit wine and skip to the “Setting Up Your Still” section. You will want to gather your fruit when it is most ripe. To make a small batch of brandy, you will need about 3 quarts of fruit. Note: If you are using berries, you will have to add sugar. Berries do not contain enough sugars in them to make a wine that can be distilled properly. There are two ways around this. 1) line the bottom of your container with sugar, then a layer of berries. Continue layering until all the fruit is used up. 2) Soak the berries in a high proof spirit, which extracts their flavors and aromas, then distill once at a low proof. STEP #1– Fill your dutch oven (or large container) with a few inches of water and place the still inside. The water should rise about 3/4 of the way up the sides, so add more water if necessary. Place the pot and still over your gas burner or heat source. STEP #2- Fill your still 3/4 full with your wine. It is important that you leave the 1/4 of the still empty because once the wine heats up, it can bubble and rise. STEP #3- Place the lid on the still and connect the tube from the lid to the condenser coil. Place cold water in the condenser and place a glass under the spout to collect the alcohol. Before you start distilling it’s important for you to understand how to make cuts for heads, hearts and tails and the temperatures at which various compounds present in your wash including ethanol, methanol, acetone and Propanol evaporate. I wrote this guide to cuts and fractions that will explain this in more detail. I suggest reading that guide before proceeding. STEP #1– To get it going, you can turn the heat on high, but as soon as the alcohol starts dripping out of the spout, turn down the heat. Don’t let the contents get too hot, it doesn’t need to boil, just a nice steady simmer. It is also important at this time that you do not let the contents drip out too quickly. The slower the drip, the better the brandy. You should aim for 1 drop per 1-3 seconds to get a finer, more aromatic brandy. STEP #2- The first thing that will come out will be the fore shots. This contains a toxic combination of acetone and methyl alcohol and it will smell strongly like chemicals. There will be about 7.5 ml per 1.5 liters (0.4 US gal) of wine. Discard this. Next up are the Heads, collect 750 ml and set aside. You will save this to add into your next run. STEP #3- Once the heads have been collected, the next liquid to come out will be the hearts. The hearts is the good stuff. It should be clear and you will be able to smell a hint of the fruit you used in your wine. Collect the hearts in small glasses. You’ll get about 300 ml per 1.5 liters (0.4 US gal) of wine. STEP #4- The remainder of the liquid will be the tails. The tails may look milky and will lose the fruity aroma. Discard the tails. STEP #5- Store the hearts in a glass jar at a cool temperature. The longer you leave it, the better it will taste, so be patient. I swear it will be worth it. You can control flavor of rum, whiskey or brandy by blending your cuts after the distilling is completed. For more information on blending your spirit run check out this Guide. 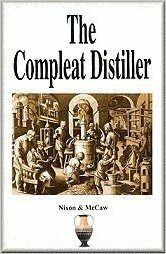 I’ve gone into much more detail on distilling and how to make cuts there. If you’ve got any questions about making brandy leave a comment, we’d love to help. If you’ve got a brandy recipe you think the world needs to know about share it! We love trying new one’s! 27 Responses to "How to Make Brandy"
I have built a Kentucky style still as illustrated here. It is far too big to fit in a Dutch oven. Would it be ok to place it direct on a gas burner? Ok am I missing something here? The above “brandy” recipe is a moonshine recipe. It says nothing about aging it in an oak barrel. This is a good point most brandy is either aged in oak barrels or has sugar and caramel colour added to mimic the appearance of barrel aging. I’ll add some information at the bottom of the post for anyone interested in learning more about aging spirits. A lot of people say you need oak barrels to age brandy. I will not be making that much to justify expensive barrels. For smaller batches why can’t I just add some oak wood to the brandy in smaller glass or stainless containers? For the home distiller, an oak barrel is generally a dream as they are expensive.. Oak chips work great and I’ve had great success with them! Biggest thing to keep in mind is you can over oak your batch very easily. Start with less chips then add more if you require a bolder batch. Hey they have oak barrels on eBay and Amazon for fairly cheap. Can I use my homemade blackberry wine to make this brandy? Yep you sure can! Let us know how you make out. I’ve never tried Blackberry brandy but it sounds good. Try soaking oak chips with the heads and setting them alight to char them before adding to your brandy . Do not age in stainless steel!!!!!!!!!! When stilling do you track the temperature of the liquid/mash or the vapor at the top of the top of the pot? You want to track the temp of the vapor at the top of the still head ! I made wine a year and a half ago and been too busy to mess with it so I was wondering if I can still turn that into brandy? How do you know when to dump the head to start collecting the hearts? First time at attempting this! You can totally distill it into brandy. I’d suggest you start by reading Still Temperature Guide For Making Moonshine. Let me know if you’ve got any questions I’d love to help you figure things out. I’d also suggest you check out http://homedistiller.org/forum/ as well great community. You can totally distill it into brandy. I’d suggest you start by reading Still Temperature Guide For Making Moonshine. Let me know if you’ve got any questions I’d love to help you figure things out. I’d also suggest you check out http://homedistiller.org/forum/ as well great community there. How come the heads need to be discarded when distilling? Common sense would suggest that anything created in the distillation process already exists in regular wine, heads included. In other words, how come the toxins which make up the heads don’t harm us when we drink undistilled booze like wine or beer? Great question.. It’s the Foreshots that we are most concerned with typically the first 50 ml of product. This should be discarded because it contains a high concentration of Acetone and Methonal. The heads which come next can be saved and added to the next run. I wrote this guide to making cuts and fractions that explains things a more. The toxins are present in wine however they don’t harm us because they are in small concentrations. What would happen if I distilled a batch of wine and bottled the batch as it came out of the still ? The first bottle would have 20 times the Methonal and Acetone in it.. Yes, the components are naturally present but with the addition of heat, new chemical compounds are made. If you remember your organic chemistry class, there are many molecular classes above ethanol that can be made and most are toxic. I am wanting to make brandy with about 4 gal of homemade wine for a buddy of mine. However the still I got is an 8 gallon and I can’t use the dutch oven because of its size should i get a smaller pot to do it or is there another way to do it with my still size? What are you using as a heat source ? External or Internal ? If it’s external you should be fine! With an internal element you need to be careful as you don’t want the fluid inside your still to drop below the element when distilling ! Feel free to join our Facebook page and send me a pic of your set up would love to see it ! I have a 5 gallon still and I have tried gas burner and a couple electric heaters. I find it very difficult to control the temperature with gas and standard electric heaters. I have ended up using an electric burner but controlled with a good temp controller with a probe in the still. A small point, but the Dutch word you’re looking for in the introduction is “brandewijn”. I’ve lived in Flanders for the last 30 years with my Flemish wife, so Dutch has become a second language for me. In the distilling process you say to discard the foreshots at a ratio of 7.5 ml per 1.5 liters. Next, you say to collect the heads, but no ratio is given, just a flat 750 ml. 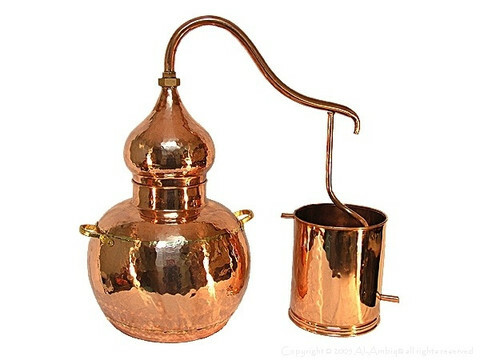 Wouldn’t this depend on the size of the still being used? What would be the amount of heads to keep per liter or gallon of still capacity? I’m making a batch of pear wine. I’ll be using 12 quarts of raw pear sauce (4X the recipe). Do I then just use 4 X the yeast, cold water, ex? Also about how much sugar would you recommend adding? The pears wear fairly ripe for the most part. I’d use the same amount of yeast make sure you do a yeast starter to get them reproducing also aerated the mash a few times. Adding sugar will increase your final %abv, I usually add 3 or 4 lbs per 23L batch but this also depends on the yeast you use as you want the yeast to be able to complete the fermentation process without dyeing off due high % of alcohol. If you’re going to add sugar you don’t have pure brandy.more sugar more liquor.no sugar less product.Which do you want quality or quantity.some people can’t tell but I can.6th generation liquor man.can’t fool me.